jdmehrkens2010 has no other items for sale. Details about Celestron 127SLT Telescope w/ Many Extras. Used, Shipped Free. Celestron 127SLT Telescope w/ Many Extras. Used, Shipped Free. With an adjustable stainless steel tripod and quick release fork arms and tubes, this NexStar 127SLT telescope can be set up in a matter of minutes. 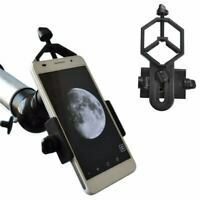 This telescope also features a 300x magnification that allows you to see details of the lunar surface. I have bigger and more powerful (and more expensive) telescopes than this one, but this is the one I find myself using most of the time. It is very easy to set up and align, and even a beginner can be slewing all over the sky in under an hour of orientation. I upgraded mine with a laser pointer finder, but other than that it's just like this one. It's not really good for astrophotography, but for learning the sky and enjoying the views, it's hard to beat. very fine instrument at a reasonable price would deal with Focus camera again. Fast shipping and prepaid .